Meet our 2017 Walk Ambassador, Landon! “We are going to have an oncologist come in and talk with you” are words that no parent wants to hear about their child. August 14, 2014, is a day our family will never forget. It was a Thursday that began like any other, Christopher and I went to work and the kids went to daycare. Early that afternoon I received a phone call from the daycare stating that Landon was not acting like his usual self; he wasn’t eating and was having a difficult time being comforted. As an infant, he couldn’t tell us what was wrong. Was the ear infection that he previously had coming back? Was he cutting teeth? Was he constipated? We scheduled a doctor appointment to find out his abdomen was distended and was very firm. The doctor suggested we take Landon to St. Louis Children’s Hospital. Shortly after the ultrasound at Children's, the ER doctor came in and told us that they were going to send down an oncologist to talk to us. After spending a week and a half on the 9th floor of Children’s Hospital, an open liver biopsy confirmed that our 8-month-old son was diagnosed with Stage 4 Neuroblastoma. Neuroblastoma is a form of pediatric cancer that occurs most often in children under the age of two. 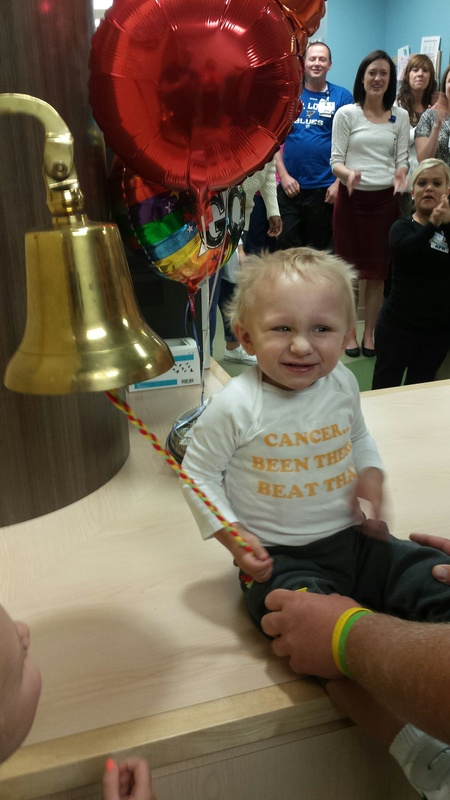 Landon had a softball sized tumor in his liver and the tumor was considered very aggressive. 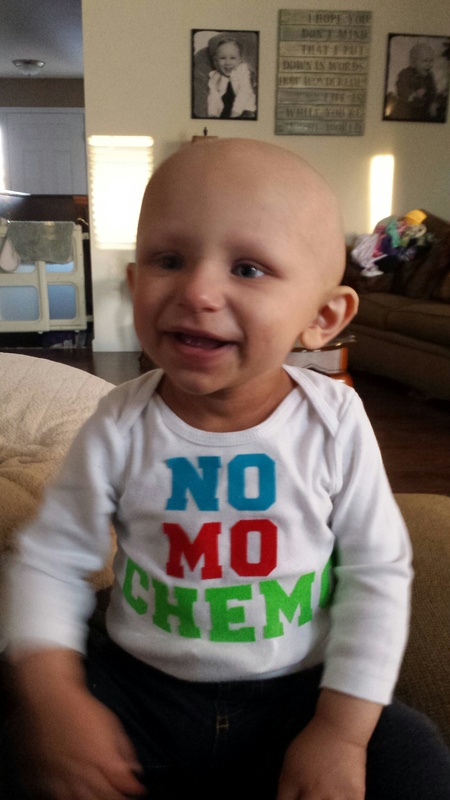 The oncology team quickly devised a therapy plan for Landon and he began chemotherapy. Discussing the short and long term side effects of these drugs makes you wonder as a parent, do I really want to put my child through this? Over the course of his treatment, Landon endured 6 cycles of chemotherapy, stem cell transplant, radiation and a study treatment to reduce the odds of him relapsing. 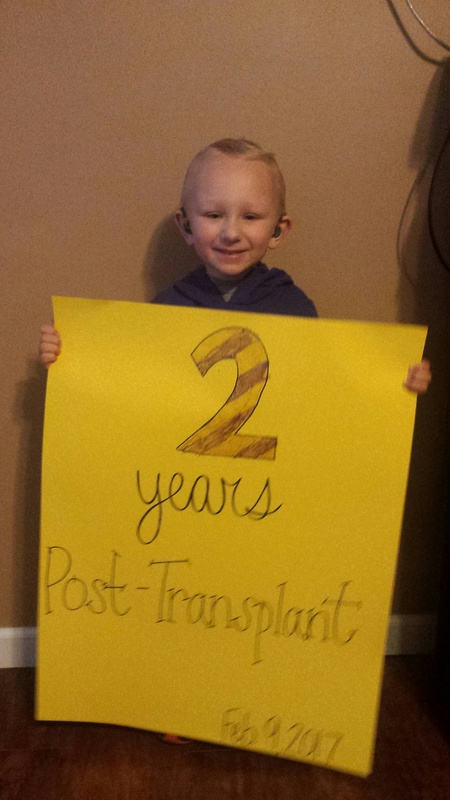 Landon finished the Antibody Study in November 2015 and is currently in remission. He also suffered some mild-moderate hearing loss as a result of the chemotherapy so he wears hearing aids and receives speech therapy. Our family would not be where we are today without the love and support that we have received from family, friends, and even complete strangers. Volunteers at the hospital checking in to see if we needed anything. Providing dinner and a special place in which patients could watch the balloon glow in Forest Park. Friends of Kids with Cancer also made sure every milestone was celebrated in a big way with balloons, cake, and decorations. As many of you know, when a child is diagnosed with cancer the entire family is affected physically, emotionally, and financially. Friends provided gift cards for food and groceries, birthdays and holidays. Friends knows that siblings also struggle during this difficult time, as they cared for Natalee the same way they did Landon. The events Friends host help families during a time of need. They provided support when we needed it the most. Landon’s diagnosis has reminded us of how precious life is. His diagnosis has also taught us to enjoy the little things in life and not take things for granted. Five weeks after Landon was diagnosed, his cousin Luke was diagnosed with Lymphoblastic Lymphoma. Pediatric cancer is more common than most people think and the effects can last a lifetime. From the bottom of our hearts, we want to thank you for giving us the opportunity to share our story in hopes of raising awareness of this awful disease. Click here to register for Walk with a Friend on Saturday, April 29. 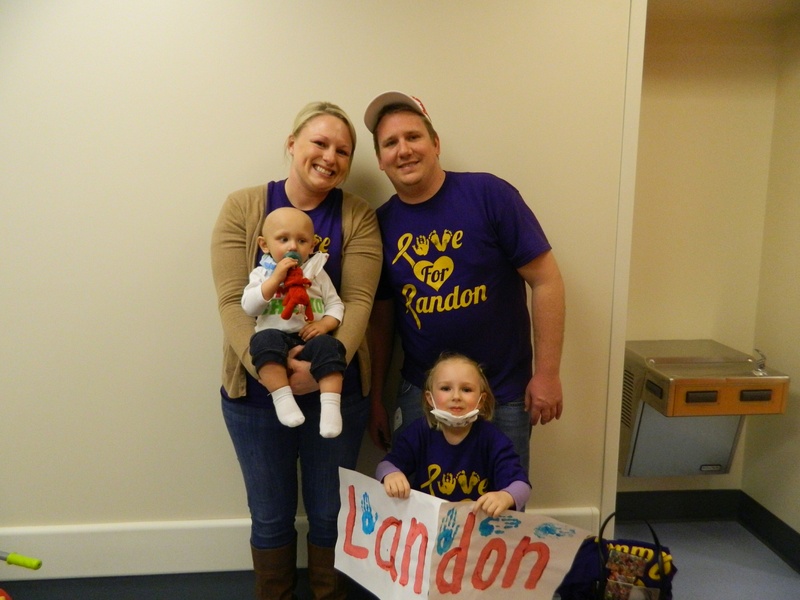 Click here to make a donation in honor of Landon or a loved one.